You have to pay admission to get to machine, but the lady at the front desk let us go back to the machine for free. It cost 75 cents to press a penny. They also sell tokens, 2 for $1. The Machine is located in the back of hall. Edit: Still costs 75 cents. Presses Nicely. 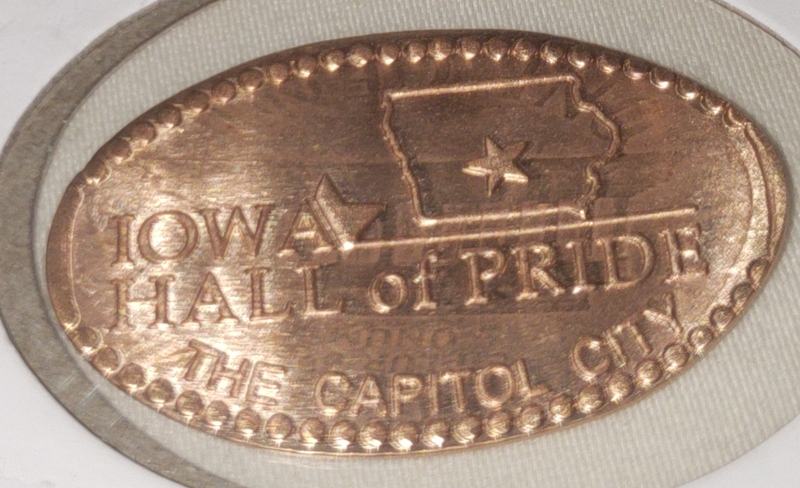 thegillion added Iowa Hall of Pride to system.